One bedroom hand-hewn barn nestled on brook, overlooking pond. Gourmet kitchen with viking stove & greenhouse window. Free-form deck. Downstairs master bedroom has a Jacuzzi tub & shower for 2. This is two story cottage with small winding staircase to access downstairs bedroom. Sits on scenic 6 acre pond and provides breathtaking views. Close to ski centers like Bromley Mountain, Magic mountain Okemo and StrattonMountain. Located 10 minutes from Manchester center and all of the shopping outlets. Pets are permitted depending on pet. My wife and family took down a small barn in Warwick, NY. Trucked the hand-hewn beams to Vermont and built this cottage by hand. This little honeymoon cottage is a labor of love. Enjoy it with love! 2 stone fireplaces, jacuzzi tub & shower for 2, DSS satellite TV, CD professionally wired for sound; Lodgepole furniture. Beautiful cabin. All the details are better than pictured. Very comfortable for two people. 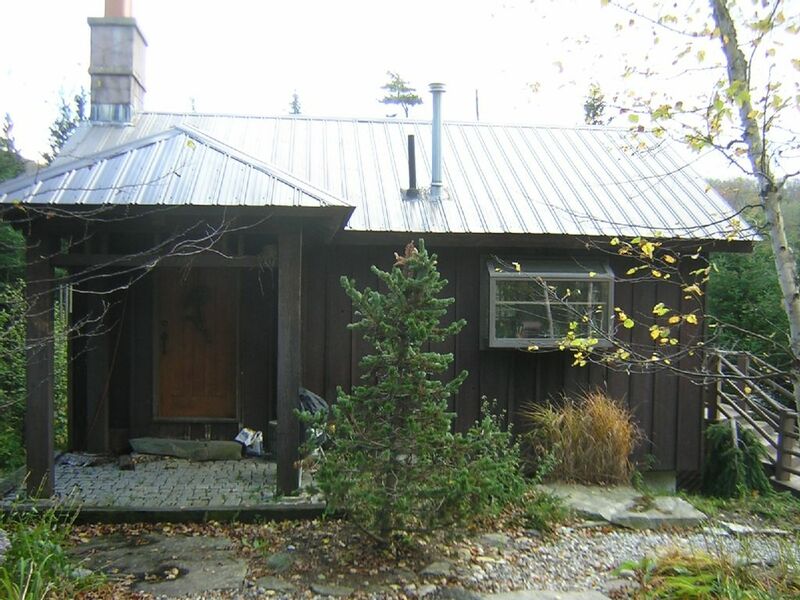 Location is close to shopping and restaurants as well as hiking and skiing trails. We had a wonderful time and hope to come back to experience every season at the Honeymoon Cottage. Exact location is between Bromley Mountain Long Trail/Appalachian trail access and Equinox Snow Tours. Hiking trails right next to property and also snowmobile trails and tours. Skiing at Bromley which is 5 minutes away. Stratton is 20 minutes and Okemo is 30 minutes. Rental sits on 14 private acres, surrounded by Green Mountain National Forest, Fish and boat on your own private 6 acre pond. Minutes to Manchester Performing Arts, High end shopping at Manchester center shopping outlets. Todd Lincoln's Hildene and cross country skiing trails close by. Also world class fly fishing at the Battenkill river is very accessible as well as tubing and swimming. Dorset quarry is close by for a unique swimming opportunity only 15 minutes away. Copy link below to browser address bar for exact location.